Outdoor awnings are designed to help reduce up to 100% of glare and almost 75% of heat transmission into your home, office or outdoor space. Brisbane and Sunshine Coast homes and local businesses love our outdoor awnings as they are extremely good at keeping out the harsh Queensland sun and allow easier management of inside temperatures. At Creative Shade Solutions we regularly get compliments from our clients who have had our outdoor awning products fitted to their homes and businesses, with many reporting that they have saved hundreds of dollars on cooling expensive i.e the have had lower power bills from running air conditioners much less often. With the continual rise of energy costs, the time has never been better to invest in quality outdoor awnings for your premises. One of the best things about Creative Shade Solutions is that we are a local manufacturer and installer of the finest outdoor awnings on the market. We have been exceeding the demands for quality exterior awnings for a long time. Our customer feedback speaks for its self, so you know that when you engage Creative Shade Solutions, we will back our products and workmanship completely. 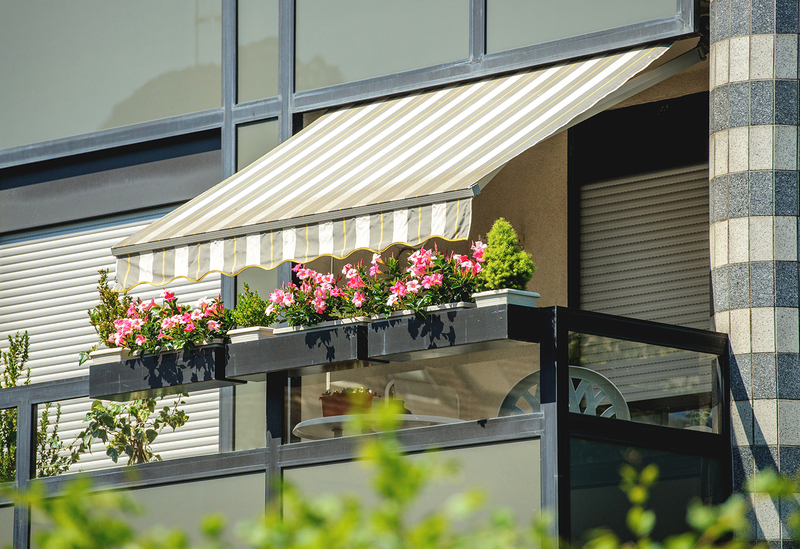 We offer several different types of awnings including folding arm awnings, fixed no frame and framed awnings such as the bullnose hood, dutch hood or wedge hood type. The two most common outdoor awning fabrics used are PVC mesh (Outlook or Visiontek), and Acrylic Canvas fabrics such as Sattler. Please visit our fabrics page for more information. Hood – The purpose of a hood is to protect the fabric from the sun when it is rolled up. It also gives the awning a nicer appearance. Motor – Our motorized awnings are manufactured by Alpha and come with a 7-year warranty. Motors add extra convenience and ease when rolling the awning up or down. Wind sensor – A wind sensor will activate at certain wind speeds to ensure the outdoor awning is not damaged during a storm. 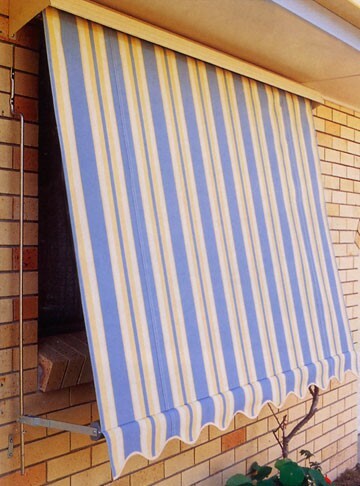 Valance – A valance is a 100mm strip of fabric sewn on the bottom of the awning. Its main function is for appearance and it helps to disguise the stitching. We offer a free measuring and quoting service for outdoor awning projects in inner Brisbane, North Lakes, Brisbane Northside to Redcliffe and the Sunshine Coast. Please contact our team for a chat about your requirements by booking a quote or call 0437 345 905 to discuss your options.